There are two ways to remove all your data. First is to mass delete it from app by yourself or delete from backend by us. 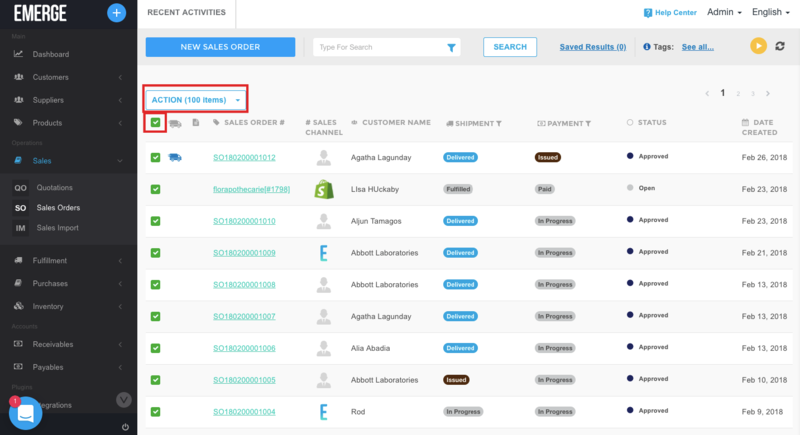 You can mass delete your Sales Orders by ticking the box to choose all in the list and then hitting Action button to mass delete. The same goes for Purchase Orders. If you are willing to update to premium, you can go ahead and update and we will then help you to delete the data from the backend.